And it’s here! Zuzana Ruzickova’s memoir, ONE HUNDRED MIRACLES will be out in the UK on April 18 and the first review, by the Times of London is excellent! Co-authored by Wendy Holden. Always on the cutting edge of new ways to lift the harpsichord out of the perception that it’s a ‘dated’ instrument, Mahan Esfahani is featured in NEW SCIENTIST playing music composed by Artificial Intelligence for the harpsichord. ZUZANA: MUSIC IS LIFE will have its New York City premiere on Thursday, September 27 at 7:00pm at the Leonard Nimoy Thalia Theater at Symphony Space. Discussion to follow with filmmakers Peter and Harriet Getzels; Frank Vogl, Executive Producer and co-founder of Transparency International; and Hanna Arie-Gaifman, Director, Tisch Center for the Arts, 92nd Street Y.
ZUZANA: MUSIC IS LIFE has recently partnered up with distributor Tugg, Inc. Want to host a screening of ZUZANA in your area? Visit our Tugg page here. 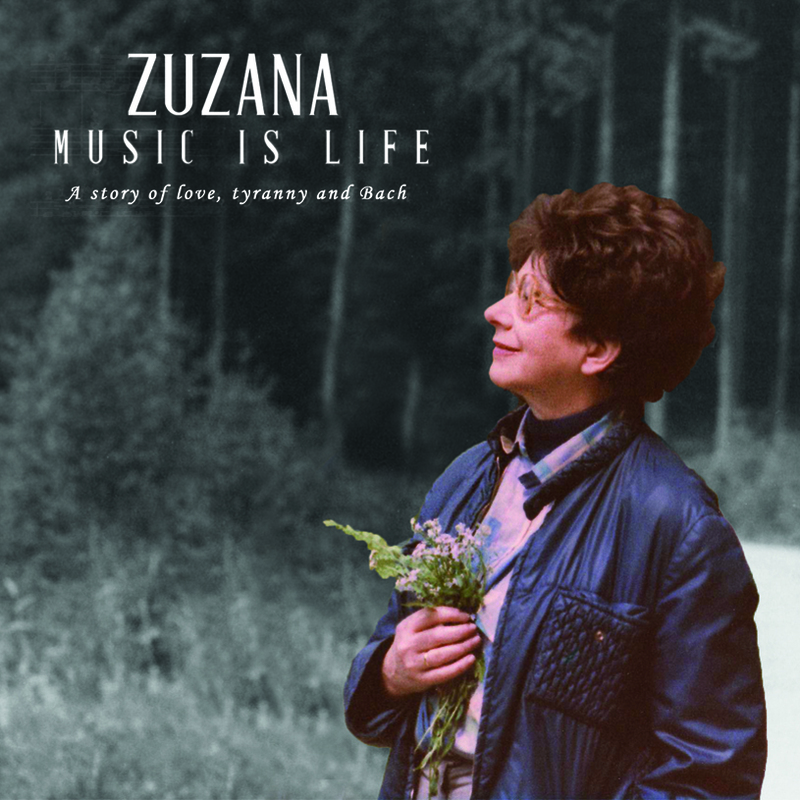 ZUZANA: MUSIC IS LIFE screened twice at the 14th Jecheon International Music & Film Festival in Seoul, South Korea. Zuzana's protege Mahan Esfahani was profiled in The New York Times after a performance at Carnegie Hall. Click the link above to read about it. 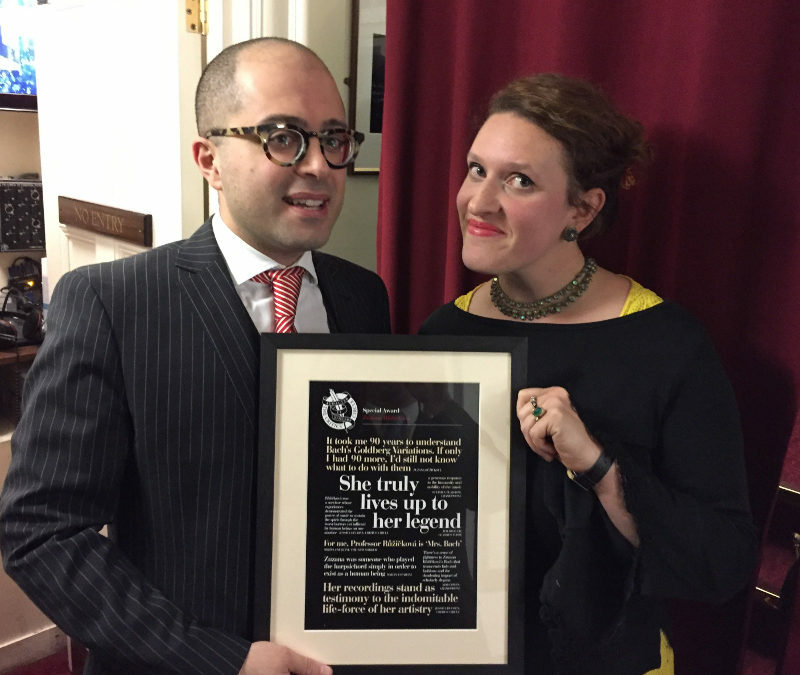 The UK Critics Circle recognized Zuzana Ruzickova in London with a special award on Friday 10 February, 2018, presented by Mahan Esfahani after his performance in Wigmore Hall. Receiving the award for Zuzana on this special occaision was her great niece, Julia Vogl. In honor of what would have been Zuzana Ruzickova's 91st birthday on January 14th, the European distributor EuroArts has launched a limited-edition special collector's DVD of the film, with a vinyl disc of some of Zuzana's favorite pieces of music which she selected for the disc before she died. The DVD and LP are now available on Amazon in Europe and for pre-order in the UK. The set can also be bought through EuroArts. We are thrilled that BLOOMSBURY has announced a book deal for a memoir about Zuzana, entitled 'A Hundred Miracles'. Mahan Esfahani remembers Zuzana in the NEW YORKER, and an upcoming music lesson that never happened. On my dining table there are a few random scraps of homework for a lesson that never happened. The scraps include sheets of music paper on which I wrote out the first scene of the first act of “Macbeth.” At the beginning of each line, there’s a time signature, and under each word I notated a pitchless metrical value, as in a musical score but without any indication of the actual tones. On the back of one sheet—Was I short of blank paper? My whole life seems to be written out on innumerable scraps of this or that—I took some notes on Arthur Lovejoy’s “The Great Chain of Being,” and, for some reason, I wrote a few random terms in no discernible order. It’s clear that even a week after I’ve done this, my attempt at note-taking has failed, for I have no idea what any of these terms mean: “nominalistic motive”; “metaphysical pathos”; “the tacit assumption of each age.” These notes were in preparation for a lesson at the harpsichord with someone who died before we could meet again—Zuzana Ruzickova, with whom I studied in the last six years of her life. To explain her would mean explaining how music is more than entertainment, how every faculty of the mind and the heart devoted to music is energy well spent, and how I would be willing to plan and, if needed, change the course of my life to come closer to the ideals that she represented. September 27, 2017 - We are very sad to share the news that the courageous, defiant, sharp-witted Zuzana Ruzickova is no longer with us. Her musical legacy is forever. We are very pleased that ZUZANA will be the opening film at the Aspen Film Festival, 3-8 October, where the screening will take place at the Wheeler Opera House. On October 4 we'll be part of a panel discussion on bringing women forward to a new generation, in film. SELECTION OF PRESS COVERAGE about Zuzana since the launch of Warner Music's 20-CD Box Set in November 2016. Zuzana Ruzickova is the only person in the world to record all Bach's keyboard works, which she did over a ten year period under Czech communist supervision at the Erato studios in Paris. 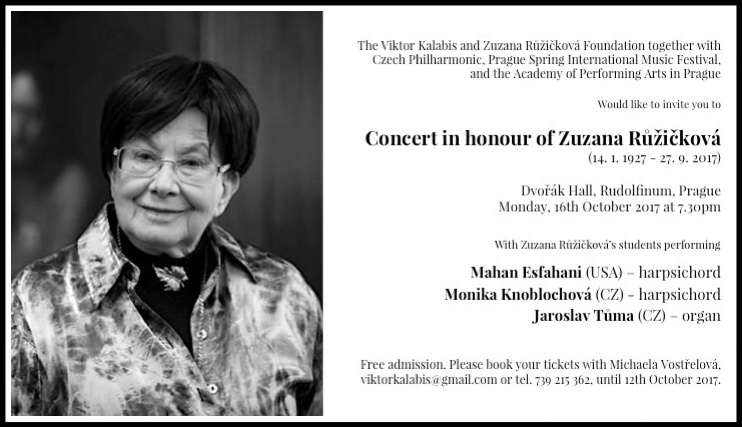 The Czech Republic's Minister of Culture, Daniel Herman, presented Zuzana Ruzickova with the title of "Dame of Czech Culture" at a ceremony on Sunday, February 26th at the Vinohardy Theatre in Prague, as part of MENE TEKEL - the Czech International Project Against Totalitarianism. A 20-CD Box Set of THE COMPLETE KEYBOARD WORKS OF BACH was released in October 2016 by Warner Music, who digitally re-mastered the entire opus by Zuzana Růžičková, an undertaking for Erato Records in Paris which took ten years, starting in 1964.